A mandala is derived from the Sanskrit word meaning “circle.” Many people use mandalas in a spiritual practice, while others simply appreciate their artistic and symmetrical beauty. 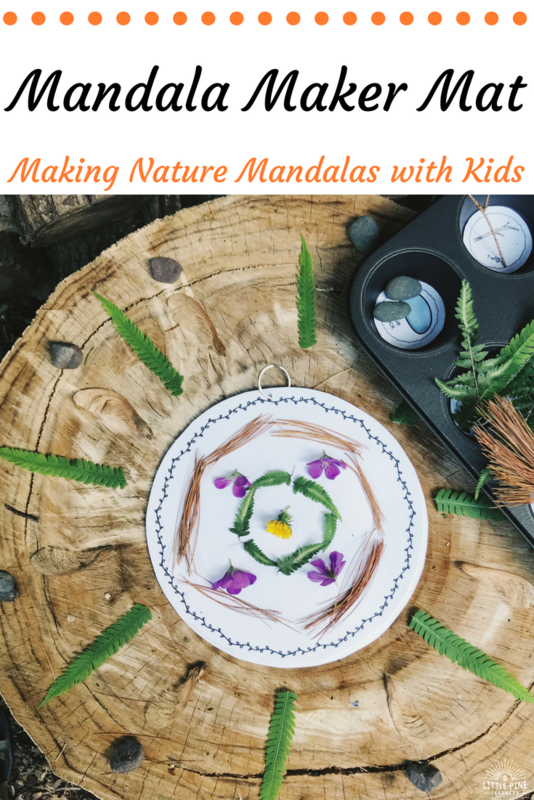 Making nature mandalas is calming and relaxing. It’s also great for nurturing your child’s creativity and problem solving skills. 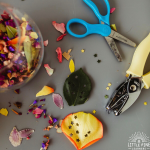 Read on to learn a simple way to teach your children how to create these beautiful works of art! 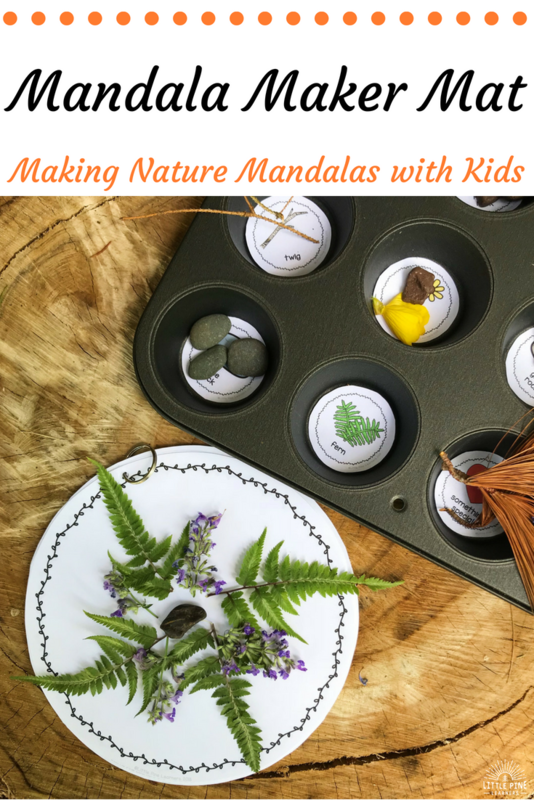 I’ve made many nature mandalas with my boys. We’ve always loved this process and enjoyed being co-creators in such special pieces of art. 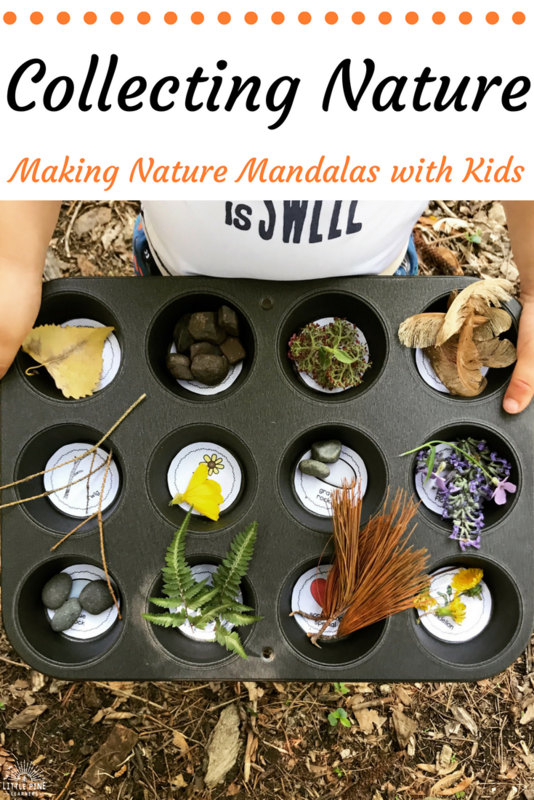 Lately, I’ve noticed a desire in my boys to create their own mandalas. 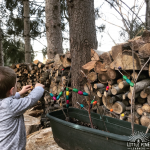 This can be an intimidating process for a young child, so I created a few tools to help foster their independence! 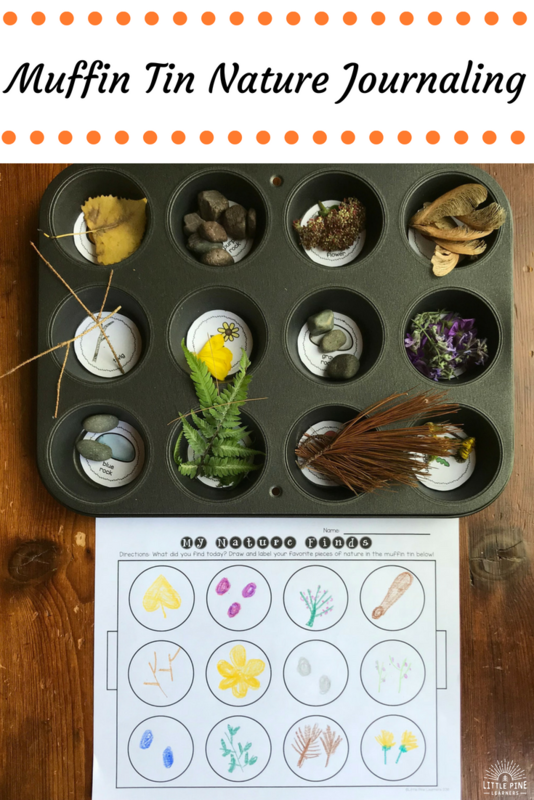 We love using muffin tins to collect nature and these muffin tin nature scavenger hunt graphics to guide our search. It makes this activity a little extra special! I chose the options that are appropriate for our current season. Once our muffin tin was ready to go, we headed outdoors to begin our nature scavenger hunt. We tried to search for at least four of each picture, so the mandalas would be symmetrical and balanced. We practiced on three different types of mandala maker mats. The first group of mats that we used were great for creating beautiful nature mandalas. Just place pieces of nature on the gray lines and dots! The nature bits cover up the markings on the pages, so you barely notice them when the mandalas are complete. 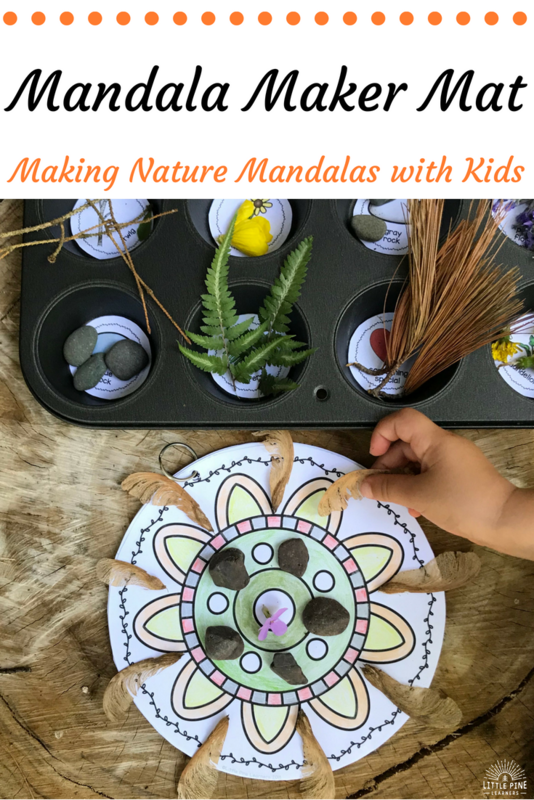 They can also be used as a mandala starter if the child wants to extend the pattern off the mat. We cut out all of the mandala makers and placed them on a ring for easy flipping. The second group of mats have the same designs as the previous mandala makers, but half of the design on each page is blank to encourage symmetry practice. The third group of mats are complete mandala pages. We like to color these pages first and then use them to inspire more intricate mandala work! 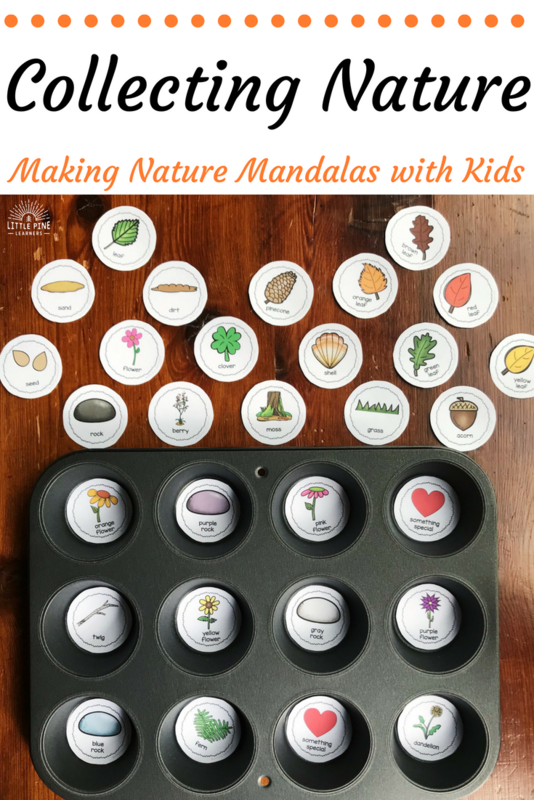 When we finished creating our mandalas, we sorted our pieces of nature back into our muffin tin. We documented our beautiful nature finds on the muffin tin nature journaling page! There are many math skills involved in making mandalas. Children are exposed to new vocabulary and hands-on practice with fractions, repeating patterns, measuring, radius, diameter, circumference, and symmetry. Mandala making is a very calming and relaxing activity. I notice when my boys are creating mandalas, they are very quite and focused on their work. With such a push on academics, creativity seems to be an afterthought. 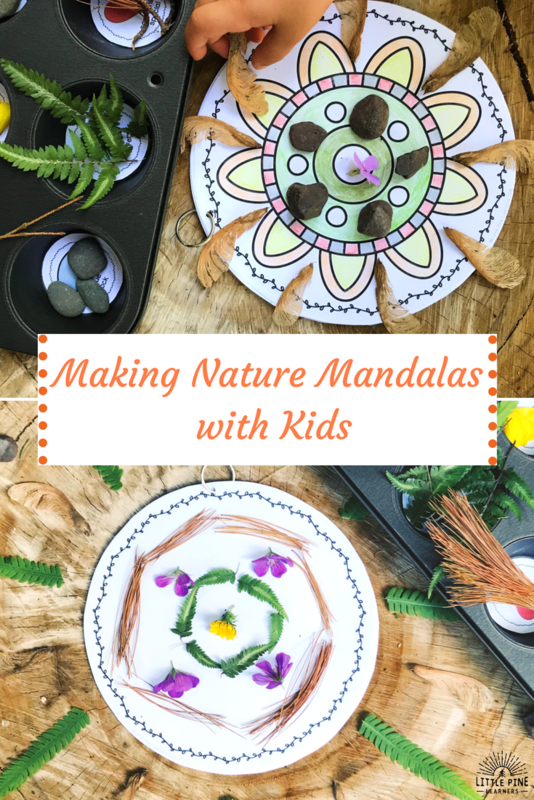 Mandala making is the perfect activity to encourage creativity and self-expression in the classroom and home. Each one is unique and a reflection of the individual child. If you would like to learn more about this activity, check out this page! Need more fun?! 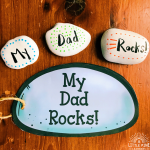 Check out Four Ways to Use Stones in the Classroom.